Aside from the PC, the sequel to the 80s classic is going to be released via WiiWare. It's been over twenty years since River City Ransom was released for the original NES, but there's finally a sequel in the works. Not much information has been released about the title so far, but developer Miracle Kidz has now made a brief announcement about the game's platform. Last week, Miracle Kidz unveiled the game's development for both PC "and an undisclosed console." It turns out that the console is the Nintendo Wii. The developer is planning to release the game this summer as a WiiWare download. 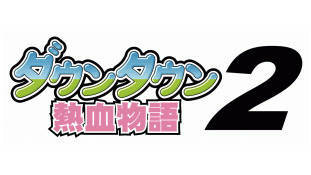 Meanwhile, the PC version of River City Ransom 2 (known as Doutown Nekketsu Monogatari 2 in Japan) is set for a 2012 release as "an online title". At the moment, no other details (or screenshots) have been revealed.